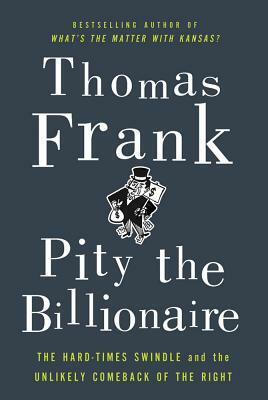 Thomas Frank is the author of "Pity the Billionaire," "The Wrecking Crew," "What's the Matter with Kansas?," and "One Market Under God." A former opinion columnist for "The Wall Street Journal," Frank is the founding editor of "The Baffler" and a monthly columnist for "Harper's." He lives outside Washington, D.C.